The SCORAI community has been expanding globally, and with the growth of our network we have a record number of updates about conferences and relevant new resources and publications to share this month. Also, we are pleased to present a revised and updated Mission Statement as well as information about new leadership and advisory roles within SCORAI. We hope you find this compilation of news and resources useful and inspiring in your research and activism. Dear SCORAI-ers, we are very pleased to introduce Manisha Anantharaman as our new Executive Board member. We are equally pleased to announce the creation of the SCORAI Advisory Board. Its current members are: Anders Hayden, Juliet Schor, Vanessa Timmer, and Neal Gorenflo. Anders Hayden has stepped down from the Executive Board and joined the Advisory Board. Thank you, Anders, for your contributions, especially shepherding SCORAI through a difficult period. In the next few months we plan to expand the Advisory Board and we welcome suggestions for the new members. Current active members of the SCORAI Executive Board are: Halina Brown, Deric Gruen, Daniel Fischer, Philip Vergragt and Manisha Anantharaman. Maurie Cohen is on a sabbatical leave. The Advisory Board (AB) is created in 2019 and comprises individuals who share the mission of SCORAI and who seek to contribute to the organization’s long term success. The organization draws on the Advisory Board members’ experience and creativity, wide range of perspectives, professional knowledge of the field (both academic and practical) and on their respective professional networks. The interactions between the Executive Board and the Advisors are informal and are reported back to the full EB. The Advisors do not vote on the matters of SCORAI governance, strategy, or finances but may participate in the EB strategy meetings. Candidates for Advisors are nominated by members of the Executive Board and Advisory Board, with a final approval by EB. 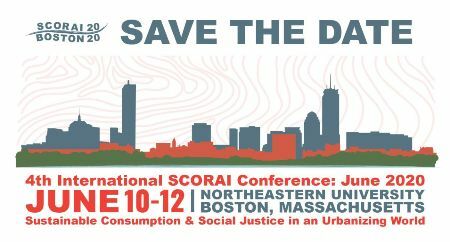 SCORAI (Sustainable Consumption Research and Action Initiative), founded in 2008, is an international knowledge network of researchers and practitioners committed to advancing sustainability by focusing on societal patterns of consumption. SCORAI recognizes that technological innovation alone is insufficient to achieve sustainability; changes are required in societal institutions, cultures, and economic systems. SCORAI’s mission is to facilitate a transition to a more sustainable society by generating knowledge that impacts discourse and supports change agents. 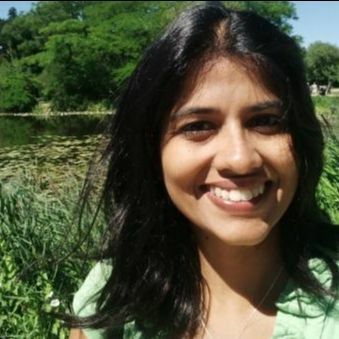 Manisha Anantharaman is an Assistant Professor of Justice, Community and Leadership at Saint Mary’s College of California, USA, where she is also affiliated with the Global and Regional Studies and Earth and Environmental Science programs. She is currently serving as the Alba Viotto Invited Professor in Sociology at the University of Geneva. A multidisciplinary problem-driven social scientist, she studies the potential for, pathways to, and politics of socially-just urban sustainability transitions, applying participatory and ethnographic methodologies. Her commitment to critical sustainability research emerges from and informs her community-engaged research praxis, enacted primarily through her work with Hasirudala, a waste-picker cooperative in Bangalore, India. She received her PhD from the Department of Environmental Science Policy and Management at the University of California Berkeley (2015), before which she worked as a program officer at the Ashoka Trust for Research in Ecology and the Environment, India. Manisha also has a Masters’ in Biology from the University of Oxford, UK, where she was an Inlaks scholar. You can read more about her research and teaching at www.manishaanantharaman.com. 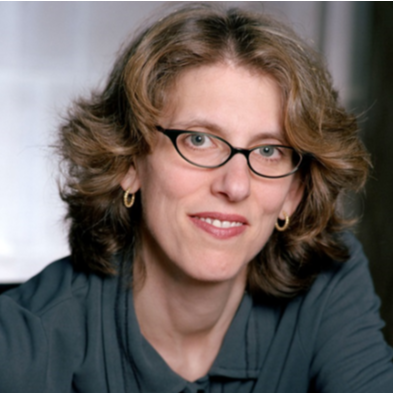 Juliet Schor is an economist and sociologist at Boston College. Her books include the New York Times best-seller, The Overworked American, The Overspent American, Sustainable Lifestyles and the Quest for Plenitude, and True Wealth. Schor has written extensively on issues of working time, consumption and environmental sustainability, including a series of papers on the structural determinants of carbon emissions. Since 2011 Schor has been studying the “sharing economy,” including both large platforms and smaller community initiatives. Schor is a former Guggenheim Fellow, Radcliffe Fellow, and Brookings Institution fellow, and in 2014 she received the American Sociological Association’s award for Public Understanding of Sociology. Anders Hayden is Associate Professor in the Department of Political Science and College of Sustainability at Dalhousie University in Halifax, Canada. He is particularly interested in the evolving balance between efforts to promote ecological modernization (“green growth”) and sufficiency-based challenges to the endless growth of production and consumption. He has written on efforts to promote "green growth" in Canada, Britain, and the European Union. His interest in the sufficiency approach has included examination of policies and initiatives to reduce hours of work as well as research on Bhutan, a country that has established Gross National Happiness, rather than Gross National Product, as its overriding goal. He is currently involved in research on the political and policy impacts of alternative measures of wellbeing and prosperity (i.e. “beyond GDP” measurement). 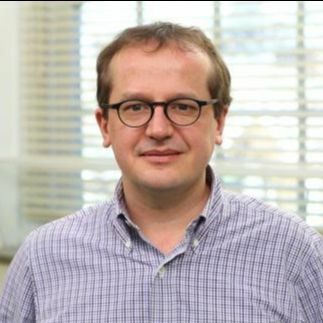 He is the author of two books: When Green Growth Is Not Enough: Climate Change, Ecological Modernization, and Sufficiency (McGill-Queen’s University Press, 2014) and Sharing the Work, Sparing the Planet: Work Time, Consumption & Ecology (Zed Books / Between the Lines, 1999). 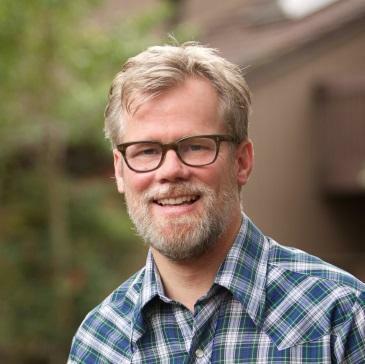 Neal Gorenflo is the co-founder and Executive Director of Shareable, an award-winning nonprofit news outlet and global action network covering the latest innovations in resource sharing, solidarity economy, and urban commons. He’s a speaker, author, and consultant in these and related areas. He’s the editor of multiple books including Shareable’s latest, “Sharing Cities: Activating the Urban Commons.” As a sharing movement pioneer, he advises leaders around the world on how to meet their goals through sharing. This has included work with Seoul Metropolitan Government, the city of San Francisco, the Sharing Economy Association of Japan, and more. Not surprisingly, Neal is an avid sharer whose year of sharing life experiment was covered by FastCompany, Sunset, and 7x7 magazines. As a social entrepreneur, Neal’s timely call to action is simple and systemic: let’s share! A conversation with David Wallace-Wells, climate columnist for New York Magazine, about the limits of individual consumption choices and the necessity of political action to combat climate change. Webinar will be recorded and available on the SCORAI website. It introduces the concept of lifestyle carbon footprint (LCF), and establishes globally unified LCF targets of roughly 3,2,1 tCO2e per person per year by, respectively 2030, 2040, and 2050. More specifically, globally, citizens and society need to aim for per-person consumption-based greenhouse gas emissions targets of 2.5 (tCO2e) in 2030, 1.4 by 2040, and 0.7 by 2050 in order to keep global temperature rise to within 1.5 degrees. Considering current consumption levels, citizens in industrialized countries like Finland and Japan have to cut their lifestyle carbon footprint by about 80-90% or more within the next 30 years. Reductions are necessary not only for industrialized countries; industrializing countries like China, India and Brazil also need to reduce their consumption from current levels of consumption by about 30-80% – a significant challenge where basic needs of large parts of their populations are often not met yet. Sustainability: Science, Practice and Policy (SSPP) welcomes submissions for a special issue on Socio-cultural Dimensions of Mobility Transitions to Come. The present organization of the mobility sector raises major challenges for sustainable development. Many cities and regions are struggling with congestion, air and noise pollution, road-safety issues, effective use of space, degradation of urban landscapes, greenhouse-gas emissions contributing to climate change, and mobility-imposed forms of social exclusion. 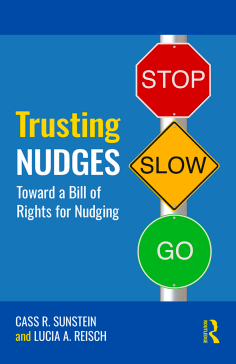 The complexity of these issues—as well as lock-ins, ambiguities, and uncertainties—additionally hamper problem-solving strategies. In the wake of “Dieselgate,” the legitimacy problems of various actors such as car manufacturers and business associations complicate transportation governance, but contemporary circumstances also open up windows of opportunity. Civil society organizations, citizen initiatives, transportation planners, policy makers, and innovative start-ups challenge the dominant (auto-)mobility regime. How are mobile subjects constructed in discourses about sustainable future mobility? How does the governance of mobility change with increasing automatization and digitalization? Which (different) role(s) do or can individuals play in transitions toward sustainable mobility systems? How and in which ways do publics become involved in the making of (potentially sustainable) mobility futures (e.g., citizen science or co-creation)? How are urban mobility cultures changing? How do individuals perceive mobility futures and related policies? How are future visions of mobility promoted and put into practice by different actors? What kinds of new practices and mobility patterns are emerging? How do future mobilities reinforce existing social inequalities or create new ones? We especially encourage submissions that provide conceptual and/or theoretical frameworks to access emergent and expected developments and present empirical research on current transitions in the mobility sector with regard to their sociocultural dimensions. Authors are invited to submit an abstract of no more than 400 words. The deadline for abstract submission is 30 April 2019. Notifications of acceptance to prepare a full paper will be made by mid-May. Please email your abstract to: antonia.graf@uni-muenster.de and marco.sonnberger@zirius.uni-stuttgart.de. In the event of any questions, please do not hesitate to contact the co-editors. environmental lens, community is also used more widely and cross-cuttingly, as can be seen with its role in debates around localism, volunteering, third sector service provision, as much as around purposive activism. Focus of papers: In this issue of Justice spatiale/ Spatial Justice we want to explore how the use of community in pursuing environmental, cultural, and social aims and objectives can be more or less just. Rather than discussing ‘community’ as an idea or concept, still less attempting to define it, we wish to see papers that look to the potential for, or counterproductive uses of, community to achieve justice. Here we see justice in the round – most commonly justice in this area of research is framed as environmental justice, and can also be broadened out to notions of climate justice. However we are also interested in wider and the less often asked questions of justice, including those beyond only environmental deployments of community. accompanying questions of social justice? Most particularly we are looking for papers that do not only adopt either a critical or a positive perspective on community-based initiatives for change, but seek to understand, analyse, and inflect these through an explicit perspective of justice. We welcome papers point to what these are, might be, and how they tangibly help produce more just outcomes. Possible topics include: the unevenness of community initiatives. Engagement with specific subfields would be welcome here. Given the Anglo-French nature of the journal, we also welcome papers addressing the specificity of Anglo- or Francophone debates in these areas. Expected Papers: Papers can rely on a case study, or offer a more theoretical perspective. Policy and practitioner contributions from non-academic authors are also welcome. All papers will be peer-reviewed. For the journal’s house style, see an outline here: http://www.jssj.org. The journal is bilingual and papers can be submitted in either French or English. JSSJ will translate the accepted article themselves, and both versions (French & English) will be available completely open access. JSSJ also doesn’t change any fees for this. Timeline: We will accept full papers, up until the 31st of August 2019. Papers will then be peer-reviewed, before an expected publication date of early 2020. Please get in touch to discuss any ideas you may have in advance of this deadline. The world needs to change. With rapid ongoing urbanization and ever-growing harmful environmental impacts from urban areas, the focus of this required sustainability transformation is on cities. However, cities are known to create wealth and economic growth. Cities are also providing their citizens with evermore diverse consumption opportunities, making the lifestyles of city dwellers more and more consumption-oriented. This inevitably leads to increased energy demands and emissions in cities due to needed infrastructure and real estate development, the increased energy demands of users, and the increased energy embodied in the goods and services consumed within cities. Concurrently, we are facing imminent pressure to significantly reduce our energy consumption and greenhouse gas emissions at all levels of society. This pressure behoves cities to re-establish themselves as low-energy/low-carbon urban ecosystems. Energy system changes in urban communities. In the special issue we consider on the one hand that social movements are stakeholders in the functioning of the markets, and on the other that all the markets are sensitive to criticism, whether direct or indirect, from the most mundane (food markets and automobile markets for example) to the most central (financial markets) – or most recent (digital markets). Some activist groups even make criticisms of the functioning of the economy their main claim, protesting planned obsolescence, or discrimination in hiring. Other organizations are motivated by other causes, such as social justice, human rights, or the environment, and can deploy actions specifically targeting businesses as part of their repertoire of collective action. This issue seeks to publish contributions that shed light on the forms and effects of the interactions, and even the hybridizations, between the activist world and the economic world. Papers may consider empirical investigations of activist groups, firms, or markets. They should prioritize research objects that are central to the economy rather than those on the margins, which have been more widely studied. Proposals (min. 1,000 words – max. 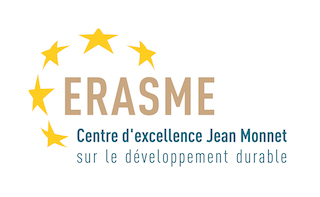 1,500 words, bibliography not included) should be submitted, in French or English, to the editorial secretary, Christelle Germain (christelle.germain@cnrs.fr), by May 31 2019. They will be jointly examined by the authors of this call for papers as well as another member of the editorial staff. Notification of acceptance will be sent by July 10 at the latest. (4) Our hope lies in coming to understand the dimensions, drivers, depths, dynamics and drift of civilizational overshoot and learning to openly nurture a personal-to-civilizational scale re-birth. (5) The new core work of the 21st Century is not making Modernity to be sustainable, rather it is the conscious co-creation of the next form of human civilization – the Co-Creative. A 58 min. video presentation by Ruben Nelson of the core hypothesis can be found on Vimeo. If this project interests you and you just want to track it, especially if you feel/think you have a contribution to make to it, please contact the project Director, Ruben Nelson: rubennelson@shaw.ca or +1-403-609-1016. The project’s website will be up in the next few weeks. Listed in chronological order, from coming-soon to farthest out on the horizon. SCORAI members are invited to join and enjoy a unique opportunity to share knowledge about how transitions to a new economy can lead to and be led by changing how we consume today, actively address solutions for conscious consumption, women empowerment and alliance building on the fields of food, energy, textiles, housing, finance and work together with representatives of various other sectors from all over the world and, strengthen your research work through participatory design-thinking processes that you may have heard of but perhaps not experienced yet. A series of webinars is taking place as the “Pre Forum” online. Please note that papers will be welcomed, they will be presented through different modalities during the entire event, you don’t need to submit an abstract in advance. STS Conference Graz 2019, "Critical Issues in Science, Technology and Society Studies"
The conference will be chaired by Dr Frances Fahy and Dr Kathy Reilly (Geography, NUI Galway) and the theme reflects on the centrality of the concepts of society and landscape within the Discipline of Geography. EUGEO 2019 in conjunction with the 51st Conference of Irish Geographers will offer participants the opportunity to reflect on and re-imagine futures within the geographical boundary of Europe and beyond. Join progressive companies, policy makers, NGOs and academics to identify key actions and indicators for promoting sustainable lifestyles in Greater Boston as key to reducing GHG emissions. This workshop organized by UMass Boston and SCORAI will focus on the business opportunities in advancing sustainable lifestyles in Greater Boston area. Hosted by the Centre for the Study of Security and Development and Department of Political Science, Dalhousie University. Co-sponsored by the Sustainable Consumption Research and Action Initiative (SCORAI), Engage Nova Scotia, Green Analytics, the Canadian International Council. A decade has passed since the Commission on the Measurement of Economic Performance and Social Progress called on world governments to find better ways to measure wellbeing and sustainability. Given the continued need for better prosperity measurements, and the growing knowledge base from recent Beyond-GDP initiatives, we believe it is timely to host an event to exchange and share that knowledge, and discuss the next steps forward. The workshop aims to advance academic, public, and policy debate on wellbeing measurement by bringing together Canadian and international academics, policy-makers and government officials, non-governmental organizations, and members of the public. We have an exciting program with presentations by many leading researchers and practitioners, including a keynote talk by John Helliwell, professor emeritus in economics at the University of British Columbia and lead author of the annual World Happiness Report. Concluding sessions will discuss next steps in Canada and develop recommendations for governments. The Biodiversity Funders Group (BFG) will host a New Economy funders meeting to explore how to rewrite the rules in designing an economy for the 21st Century in Cleveland, Ohio, a model city for community wealth building and new economic thinking. The set of ideas and rules that have dominated western political economy for the past 40 years are rapidly losing legitimacy. An emerging confluence of people are concerned about the harm our economic system is causing – political threats to open democratic societies, climate change and environmental degradation, growing inequality, accelerating technology change – and understand that the economy is undergoing a significant transition. These problems have spawned a growing movement across academia, civil society and business to bring about a new economic paradigm. There is a hunger for new intellectual frameworks to make sense of these intertwined issues and help guide action. On June 6-18, 2019, University of Economics in Katowice, Poland, will host an International Conference on Enhancing Consumer Awareness. Sustainable Consumption is one of the topics in the call for abstracts. The conference organizers are extremely interested in including Sustainable Consumption as a session or a track in the conference program. SCORAI members are strongly encouraged to submit abstracts. Halina Brown, SCORAI co-founder and board member will give a keynote address. The topic of sustainable consumption is rapidly emerging among researchers in Poland, and this conference is an opportunity to give it a stronger foundation. This 10th Anniversary event will mark the first time the IST conference has been held outside Europe. It will provide an occasion to highlight the achievements of international transition studies, to introduce researchers who are not yet familiar with transitions literatures to this vibrant community, and to explore complementarities with related research perspectives and approaches. We are also exploring these themes through a number of cross-cutting topics: politics and democracy, civic engagement and knowledge transfer, gender, and social justice. A full description of the conference can be found here: https://grf-spc.weebly.com/hong-kong-2019.html. The GRF conference is also an opportunity to interact with policymakers and practitioners including the SWITCH to Green Initiative. We warmly welcome you to Hong Kong to strengthen the community of researchers and practitioners engaged in research on the worldwide transition to sustainable production and consumption systems. This conference will provide a landmark for today’s great challenges towards sustainability. A critical and constructive debate on the United Nation’s Sustainable Development Goals (SDGs) will be the focal point. The IRI THESys and the Geography Department are delighted to announce the opening of the Call for Contributions and kindly invite you to submit your contributions from all disciplines. Please hand in an abstract (max. 250 words) and register for the conference online at https://www.kosmos.hu-berlin.de/de/conference-contributions/registration-abstract-submission/ until 28th February 2019. This is a biennial event that happens on a different continent and represents one of the world’s longest running and most influential conferences on building sustainable cities. The theme of the upcoming Summit is “Socially Just and Ecologically Sustainable Cities” based on the International Ecocity Standards (www.ecocitystandards.org) that address many issues pertinent to sustainable modes of production and consumption. Specifically, the program committee would like to ensure that the conference provides a forum for conversations on sustainable lifestyles and behaviours. This conference represents an opportunity to bring together a dynamic group of stakeholders, beyond the usual subjects. It links city building professionals (architects, planners, engineering) with ecologists and social scientists who are interested in tracking and managing the urban metabolism of cities to enable people to live within global ecological carrying capacity. The call for papers and proposals will be open until April, providing groups plenty of time to put together thoughtful papers, workshops, fieldtrips, training activities, posters or presentations. All accepted proposals will be confirmed by June. The Ecocity World Summit appeals to a mix of academics and practitioners. ENERGISE final conference on 15 October: you can now register! We are now well into the final year of the ENERGISE project, which concludes in November 2019. Our fieldwork is complete, and we have started to analyse data collected from our Living Labs, with over 300 households participating across 8 European countries. We already see that our results have generated exciting new insights into social and cultural influences on household energy use, as well as advancing the notion of ‘energy sufficiency’. We will continue to update our website and social media accounts with the latest developments from the project. 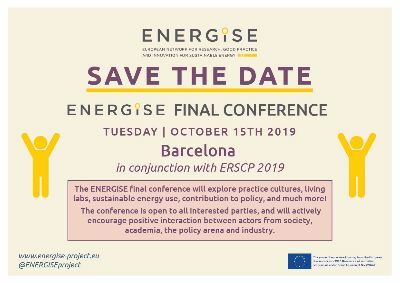 We are currently organising our project final conference, which will take place in Barcelona on October 15th 2019. PThe event will be held in conjunction with the European Roundtable on Sustainable Consumption and Production ERSCP 2019 conference, which takes place from 15-18 October 2019. We would be delighted if you could join us in Barcelona for our final event, where we will present and discuss high-level findings from the project. We would be grateful if you could register your interest by clicking on the link below. Click here to register for ENERGISE final conference. This international conference will convene scholars and practitioners to focus on sustainable consumption as it relates to urban issues and social equity. As the expansion of renewable energy accelerates, the transformative potential of moving away from fossil fuel reliance is becoming increasingly clear. Around the world, individuals, communities, organizations, cities, states, and countries are recognizing that renewable energy offers much more than just reliable clean electricity, pollution reductions, and climate mitigation. In addition to these environmental benefits, the renewable energy revolution also provides potential to transform society by redistributing jobs, wealth, health, and political power more equitably. Energy democracy is a growing social movement that prioritizes this potential for redistributing power to the people through renewable transformation. 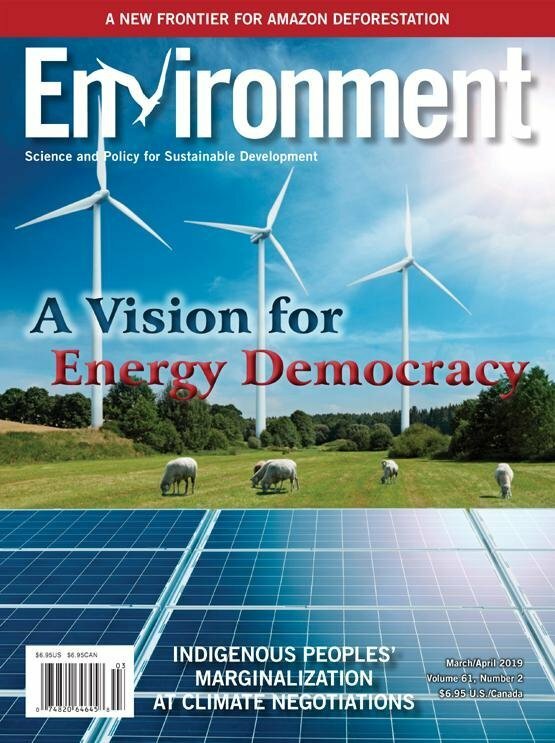 Energy democracy acknowledges how fossil-fuel-based energy systems and the associated massive corporate profits of large multinational energy companies have perpetuated inequities, exacerbated disparate vulnerabilities, and promoted widespread injustices among and within communities around the world. By highlighting the negative societal impacts of fossil-fuel-based concentration of power and wealth, the principles of energy democracy connect energy system change with an associated transformation toward a more socially just and equal society. 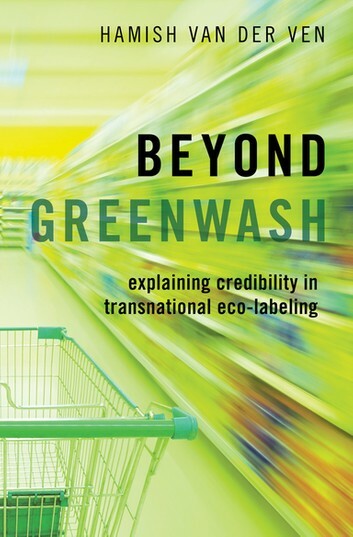 Beyond Greenwash systematically investigates the credibility of transnational eco-labeling organizations across countries and commercial sectors. It uses original data, an innovative mixed-method research design, and a unique measure of credibility in transnational governance to challenge the conventional wisdom that only governments or environmental NGOs can create meaningful environmental governance. The book is well-suited for upper-level undergraduate or graduate-level courses on international relations, environmental politics, business and public policy, business ethics, or corporate social responsibility. It offers a useful application of mixed-method research design that would be of interest across social science fields. It is increasingly obvious that for safeguarding environmental sustainability, eco-efficiency measures will need to be complemented by sufficiency, in particular by strong sustainable consumption. The Theory of Planned Behaviour TPB and Social Practice Theory SPT offer different views on consumer behaviour, and on ways to change it. This paper briefly describes the challenges, discusses the applicability of both theories and their meaningfulness for policy recommendations. The authors suggest an approach combining results of both bodies of theory, complemented by ideas from political economy, to substantiate the Prism of Sustainable Consumption we introduce as a heuristic sufficiency policy tool. It is useful to identifyaffordability criteria for change in each dimension, as the basis for deriving suggestions for effective policy interventions. They conclude that (i) effective interventions are possible, (ii) they have to address several dimensions of affordability simultaneously, and (iii) the sufficiency policy space prism can be a useful tool in structuring planned interventions. Cass R. Sunstein, Harvard University, USA and Lucia A. Based on a study of fifty initiatives aimed at reducing energy usage among Swiss households, we uncover what representations of change and forms of engagement are put forward by these initiatives, and the related policy implications. Two ideal-types emerge from our analysis: first, the dominant worldview of change as based on governing behaviour towards ‘better’ individual choices, made possible through rationalising, evaluating, and awareness-raising; second, an ideal-type which involves representations of change based on recognizing the social embeddedness of practices and socio-technical systems. Initiatives that fall into this category seek to transform how everyday life plays out, in relation to energy services and systems of provision, while challenging dominant norms around individuals as central to change. In comparing the Swiss case to over 1,000 initiatives across Europe, we discuss what makes Switzerland a forerunner in relation to this second ideal type. Further, we assess how different forms of engagement are at play, involving the participation of diverse groups of people in initiative design and implementation, while aiming towards more durable, effective and innovative solutions – which we see as a subset of the two ideal types, and one that merits further study. in agricultural practices in the United States and globally. It was produced by Breakthrough Strategies & Solutions, a consulting firm based in Takoma Park, Maryland. A team of six consultants at Breakthrough Strategies interviewed 48 experts and practitioners and conducted an in-depth online survey of an additional 65 individuals, including policy experts, farmers, NGO leaders, philanthropists, private sector leaders, and government officials. Our team of consultants included soil health and soil carbon experts in France, Belize, California, Massachusetts, Washington, and Maryland. 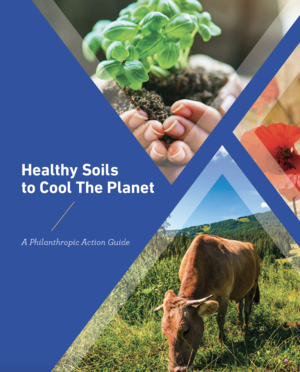 This guide provides an initial roadmap for investing in healthy soils to help cool the planet and enhance resilience. A warm welcome to eight new SCORAI affiliates who have joined us during the past month, bringing our total membership to 1136 individuals.